The Definition of Wealth is in the Eyes of the Beholder. When you begin creating a wealthier lifestyle the world as you know it will become wealthier and so will many who are around you! When you have "true wealth" your relationships can become more, your purpose can become more evident, and your influence can expand. The beliefs and success principles you profess get expressed in and through you in such a way that others will see your integrity. But the choice, as always, is yours. You must decide what you want to become. You must "Become" something to "DO" something, to "HAVE" something. This formula is not cultural, or circumstantial. It is universal and based on proven time-tested principles. To have a more abundant life, you need a different plan and process and most importantly have the faith to execute the details. Your future begins with the decisions you make today. Your choice to create a more prosperous financial situation can initially be frightening. There are always certain types of risks associated with starting any type of business. Freedom isn't FREE! There is always a price to pay for success and significance. If it were free it would have no value. Don't you agree the benefits of taking better control of your destiny and fully enjoying the gifts God has given you along with the mutual benefits for everyone in your life seems so much more rewarding than simply "having a job" and working till you die? True wealth can make a difference in your life and the lives of those who are most important to you. Time and money are closely related. If you have more resources working for you, you have more choices with your time. The wise believe you should learn the ways to have your money work for you so you don't always have to work for money. The benefits could become what formally in your life have only been fleeting dreams. "It's been said that the greatest financial risk that a person could take in life is to work for someone else!" By decision and design, your future is secure or at risk. Your decision to better control your future will release the chains of the past that have kept you captive. Money, wealth, resources or whatever you may call the "keys" to your future are seen with the mind and spirit, not the eyes. The trappings of success are sometimes valued more highly by those who don't possess them than those who do. 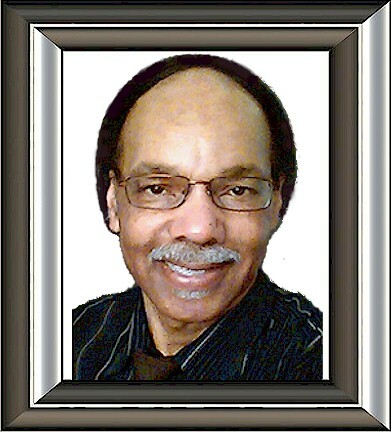 I believe true wealth is having the ability to rejoice in a meaningful, purpose driven, fruit bearing life without worries of living pay check to pay check and having concerns of how to pay the next light bill (e.g. living in the spirit of gratitude). I believe it is okay to have money and nice things but it is not okay to let them have you. We enjoy certain things that money can buy, but most important we enjoy all the things that money can't buy! The decision to become wealthy is up to you! Need help starting, building or maintaining your online business? 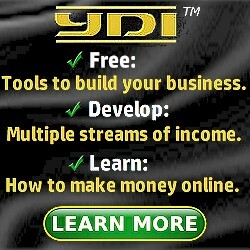 Check out YDI. It’s a free Business Building & Marketing Platform designed with you in mind.